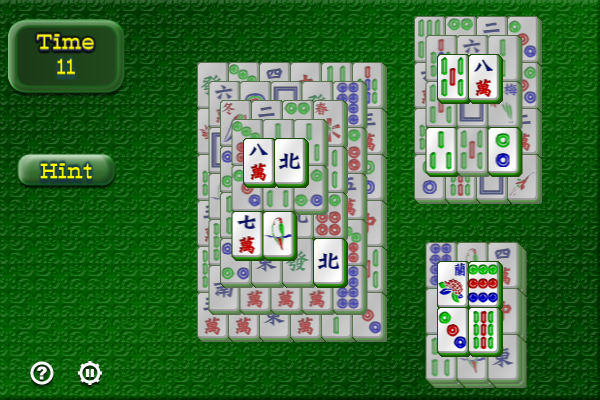 In this game there will be a set of mahjongg tiles piled up together. You need to remove the mahjonggs pair by pair until all the mahjonggs are gone. You can match a mahjongg only if it is not blocked from both sides and that it does not have any other tiles stacked above it. When you finish a set, you will be promoted to the next level. There are a total of 3 levels. The faster you finish a level, the higher the score you get.